In the mid 70’s the Renault-Alpine collaboration designed and built a series of sports prototype race cars to contest the Le Mans 24hour race. Success here was of utmost importance to the French manufacturer due to the prestige that winning the event would bring. Allied to the monumental development program they undertook, other French sourced partners were encouraged to help the French effort and they triumphed together in the 1978 race. 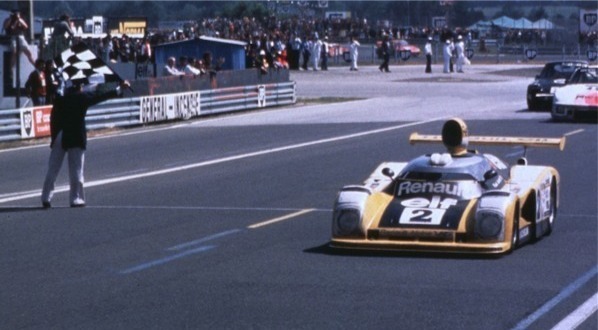 The alliance of Renault and Michelin first entered Formula One at the 1977 British Grand Prix. The yellow car was the first turbo charged car entered into the FIA championship and it would earn itself the harsh nickname of “Yellow Teapot” as the engine proved completely unreliable in it’s initial installation. In eight events, the single Renault retired on four occasions, withdrew from three others and did not even qualify for the Canadian race. Yet Enzo Ferrari made an inspired choice to invite Michelin to provide tyres for his cars. He told Pierre Dupasquier after the 1977 Italian GP that he wanted Michelin for the following season. 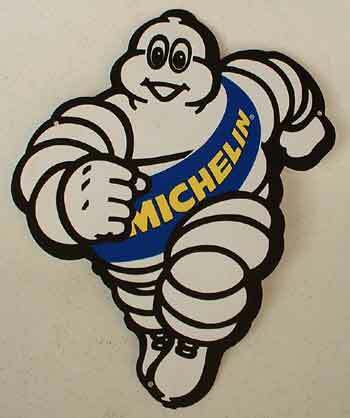 Michelin tyres used a different construction to the products of their rivals – Goodyear. 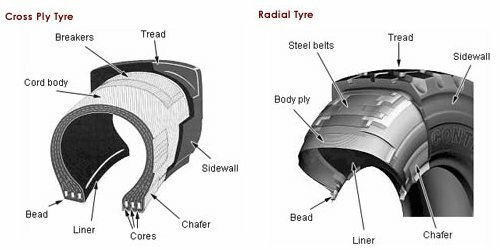 The French manufacturer used radial tyres as opposed to the American cross-plies and this would have dramatic effect on their relative performances. Throughout 1978, especially when the weather was blisteringly hot, the Michelins would have a distinct advantage over the Goodyear runners and so it proved in the second race of the 1978 season. The Brazilian Grand Prix had moved from Interlagos to its new home at Jacarepagua near Rio De Janeiro. The conditions were sweltering and many of the Goodyear runners felt wary – after the morning warm-up – when Reutemann in the previous seasons Ferrari 312T2 proved conclusively fastest. Starting fourth on the grid, behind pole man Ronnie Peterson, James Hunt and Mario Andretti, he was in front before the first corner and literally disappeared finishing fifty seconds ahead of Fittipaldi in the Copersucar. Peterson had made a poor start and been passed by both Andretti and Hunt, but Hunt had to pit after twelve laps with his tyres destroyed. Andretti held on to second place until six laps from the end when his car jammed in fourth gear. He would finish fourth behind the reigning World Champion – Niki Lauda – who made his way through from tenth on the grid to the bottom step of the podium. As the sun settled on the Brazilian circuit, Reutemann celebrated his first Ferrari victory and Michelin their first ever Grand Prix victory. 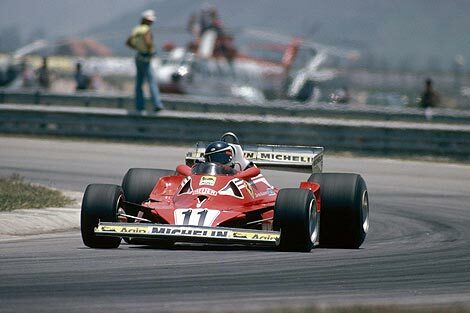 In 1979, they would secure their first ever F1 title with Ferrari and add further titles in 1981, 83 and 84 before withdrawing from the sport until 2001. Goodyear finally adopted a radial construction for the 1985 season..
Quite shocking really. American arrogance? I well remember the 83 Britisih GP. Ferrari 1-2 on the grid and they fell back as their tyres disintigrated..
Maybe that was the speed of change back then!